Having tasted this at Providores in London I had to find out how to make this ultimate comfort food! I’ve adapted it to as low-fat a version as possible in the past; today was not quite ‘go-for-broke’ but the rationing came off the chilli butter/oil for once! I was reminded of the dish when it popped up in Nigella’s latest TV series so we treated ourselves to a hearty comfort-food brunch today. You will find proper recipes for this, but just experiment and vary with what you have to hand. Don’t be too put off by the concept – it sounds a bit unappealing, I know; trust me, it works! It almost takes longer to explain than do, too. 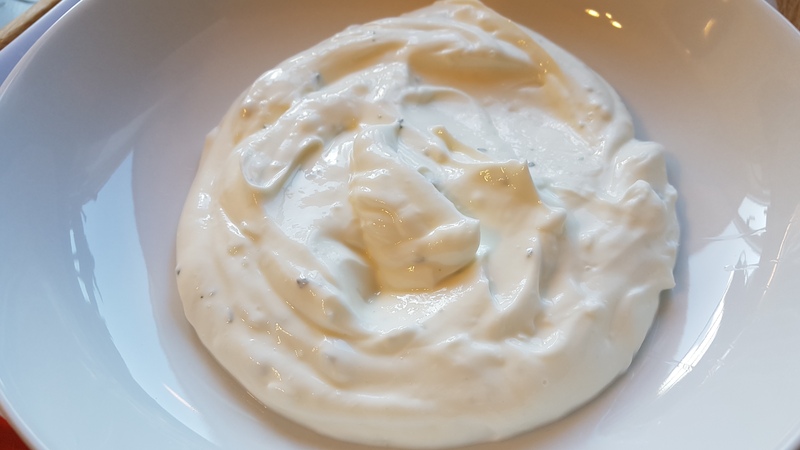 Put the yoghurt in a bowl and add a crushed or grated large clove of garlic or a good squeeze of tube garlic, though fresh is tastier. Add a good squeeze of lemon juice (about half a lemon’s worth) and a generous sprinkle of dried herbs if you haven’t any fresh for garnishing. I like a good dash of fines herbes witb that aniseedy tarragon tang. A good few grinds of salt are essential. 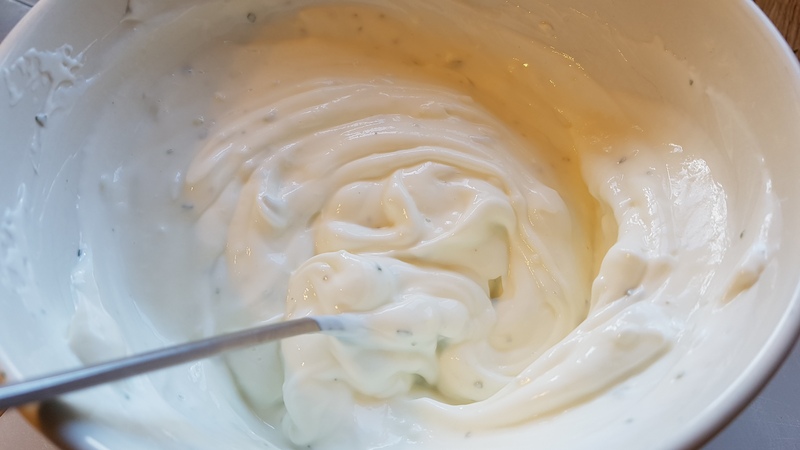 Whip together with a fork or a whisk until smooth and creamy and decant into 2-3 dishes, mounding it up in the centre and making a couple of dips for the eggs to nestle in. Put on a pan of water and bring to the boil while preparing the butter. In a small pan, melt an ounce or two of butter and heat until lightly browned. (I like a salty butter.) Switch off the heat and throw in a good shake of smoked sweet paprika (add a dash of chilli or hot smoked if you like more oomph) or a teaspoon of chilli flakes, or fresh if available, swirling the pan. Add about the same amount (3-5 tbsp) of olive oil and swirl together. Finally chuck in a tablespoon or two of fresh chopped herbs if you have them – dill, parsley, tarragon or chives all work well. Save a few for the final garnish. Poach 4-6 eggs in the pan of barely simmering water while you toast a slice or two of sourdough bread per person. 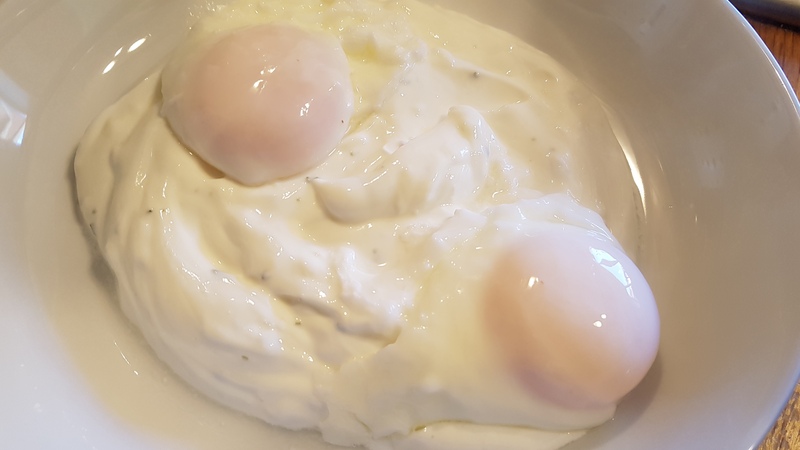 Drain the eggs well and pop them onto the yoghurt. Pour the chilli butter over the eggs and around the yoghurt – a colourful moat! Sprinkle any remaining fresh herbs over and serve immediately with the toast for dipping and a spoon! I also omit the top layer of yoghurt which some recipes add in order to keep the eggs hotter. 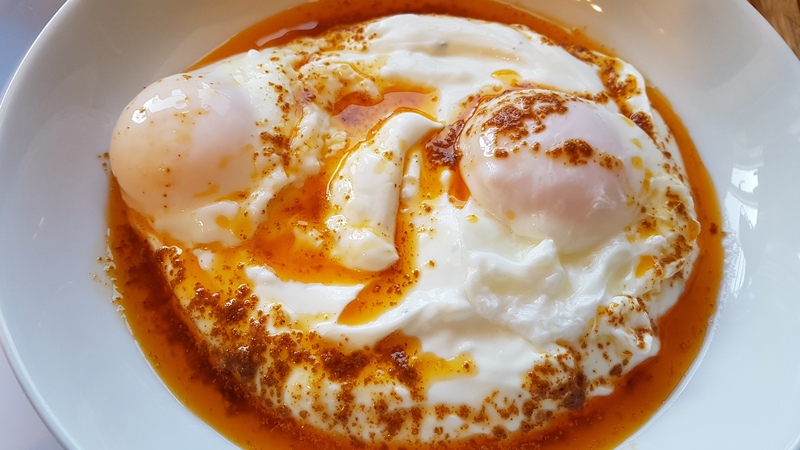 Tuck in – and have fun working out your ideal version of cilbir! 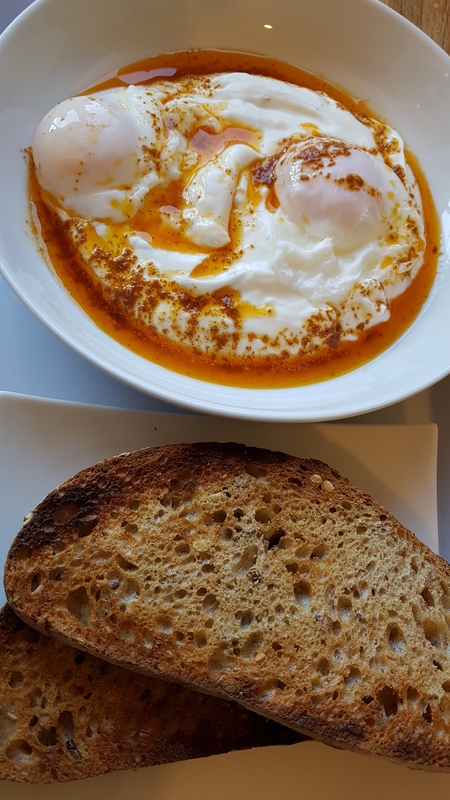 This entry was posted in Recipes, Uncategorized and tagged bread, butter, comfort, eggs, food, herbs, olive oil, paprika, recipe, sourdough, Turkish, yoghurt. Bookmark the permalink.